Happy Wednesday! I hope your week is going well so far. Before I jump into today’s post, I just wanted to let you know that I’m working away on filling those requests for the chore charts. If you put in your request, and have not yet received your copy or copies, never fear it will be on its way shortly. 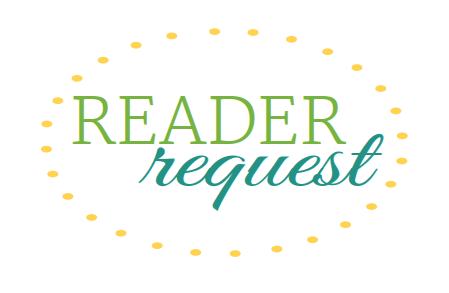 If you haven’t put in your request, or aren’t sure what I’m talking about, you can check out this post here or head on up to the Printable of the Month tab to find out more. Now, onto the new stuff! You all know I love creating printables. And I absolutely love it when requests come in. One, it’s always nice to know that the printables are something someone else is going to use, and two, I love being able to give something back to all of you! This month’s request for another 2014 calendar, this time a whole year on one page, and here it is. As with all of the printables shared here on the blog, just simply click on the picture and the file will either open in another window, or will immediately download for you, depending on your browsers and your setting within your browser. Since part of the request was to use the same colors as I used for the other calendars, it matches nicely if you want to add it to the front of yours. I even used all the same fonts to keep it consistent. There are a ton of ways to use a ‘year at a glance’ calendar. 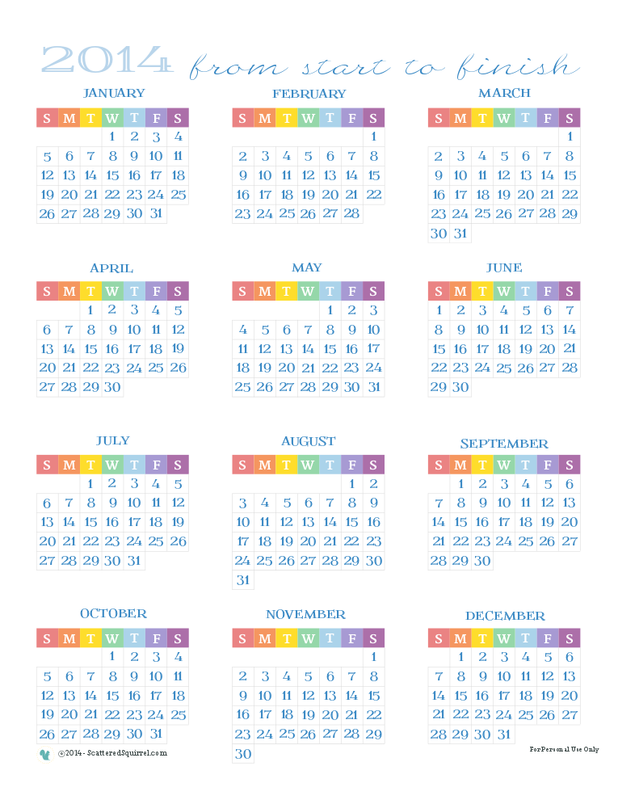 Use different highlighter colors to mark birthdays and special occasions, vacation times for you, school vacations, special school dates, and what days you pay your bills. The really nice thing about having the whole year on one page, is it makes it easy to plan for events down the road. You can see quickly what’s going on, and when. A friend of mine goes through hers and just highlights days that have something going on, like every school day, sports and dance activities, ect… then when it’s time to plan her and her husbands vacation time, they can look for the months with the most white space to know when it would be best to take their time off. There are many different uses for calendars like these, and I’m so glad this came in as a request, because it’s not something I thought of. How do you use a yearly calendar? I would love to hear about it.